On March 9, 2018, EMW Community Space and Northeastern University's Asian American Center are partnering to present the East Meets Words 13th Anniversary Showcase Featuring Chrysanthemum Tran. 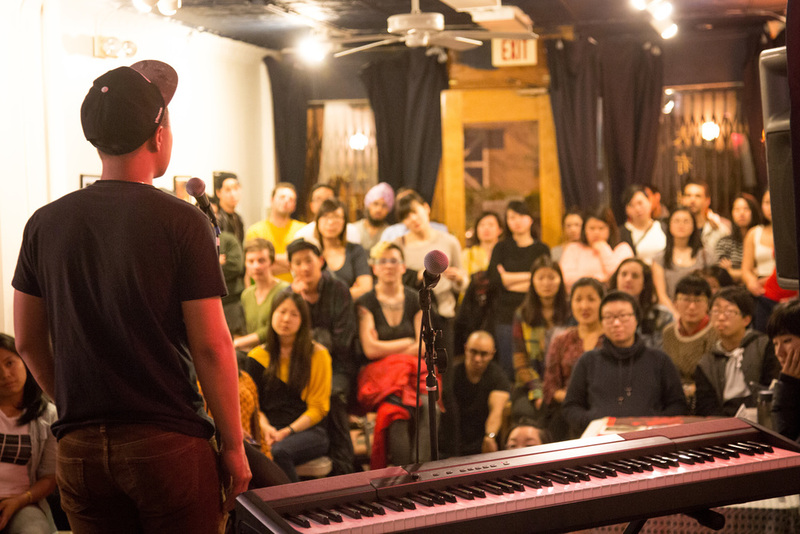 Over the last thirteen years, we've hosted over 156 open mics; we've featured at least 156 APIA artists and artist groups, as well as many more narratives during our open mic series, solidifying us as the longest running APIA open mic series on the East Coast. Join us in celebrating these last thirteen years as we continue to build strength among our peers. 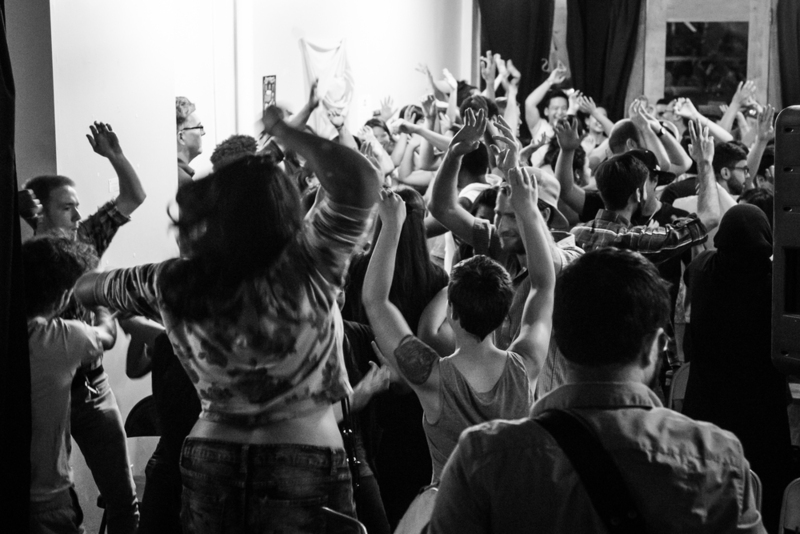 This year's showcase will be the culmination of our efforts to build power between QTBIPOC communities; our showcase will be highlighting various community organizations which have helped build our community as well as the artists who have been born from it. Chrysanthemum Tran is a queer & transgender Vietnamese American poet, performer & teaching artist based in Providence, RI. 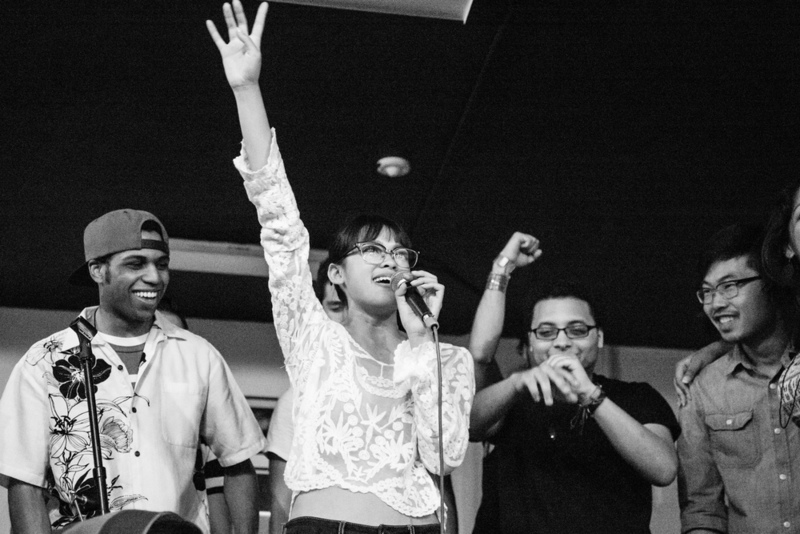 In 2016, she became the first transfeminine finalist for the Women of the World Poetry Slam. A Pink Door Fellow, Chrysanthemum also won the 2016 Rustbelt Poetry Slam (with an all-Asian American team aptly named Michael Derrick Hudson) & the 2017 FEMS Poetry Slam. She is the current lead teaching artist for the Providence Poetry Slam youth team. At 19, Chrysanthemum had her first feature ever at East Meets Words (along with the hauntingly talented Sonja John). Let Us know You are celebrating with us! 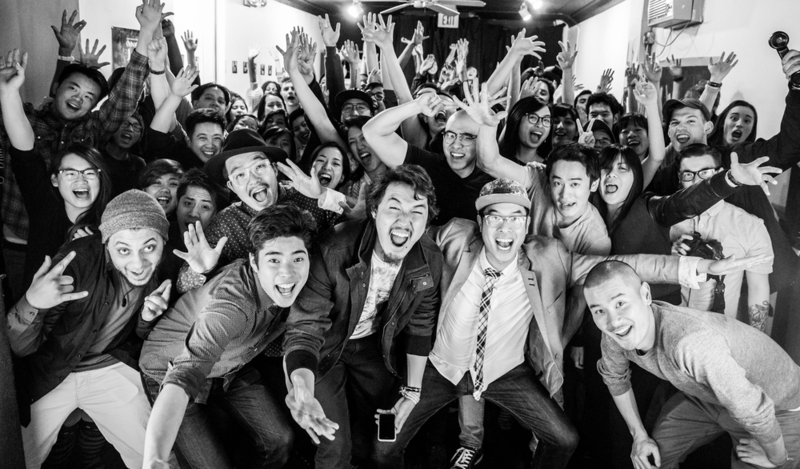 Each month, we feature an Asian/PACIFIC ISLANDER (API) artist or group, who will perform a full-length set after the open mic portion of the evening. East Meets Words is hosted by EMW every second Friday of the month! Our little piece of Mass Ave started out as East Meets West Bookstore, a small business owned by the Kong family. In March 2005, the bookstore held its first monthly open mic. 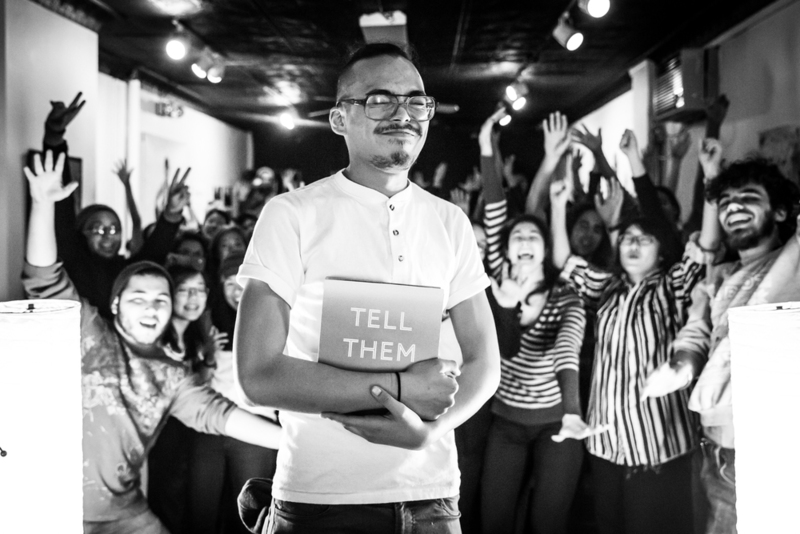 Now, over 120 open mics later, East Meets Words is one of the longest running Asian American open mic series in the country, and one of the main hubs of API art and activism on the east coast. 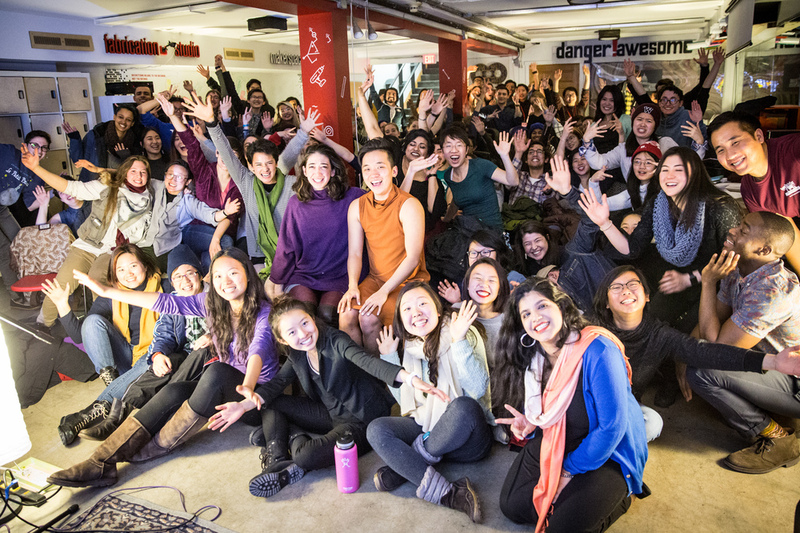 In March 2017, East Meets Words celebrated its 12th Anniversary! 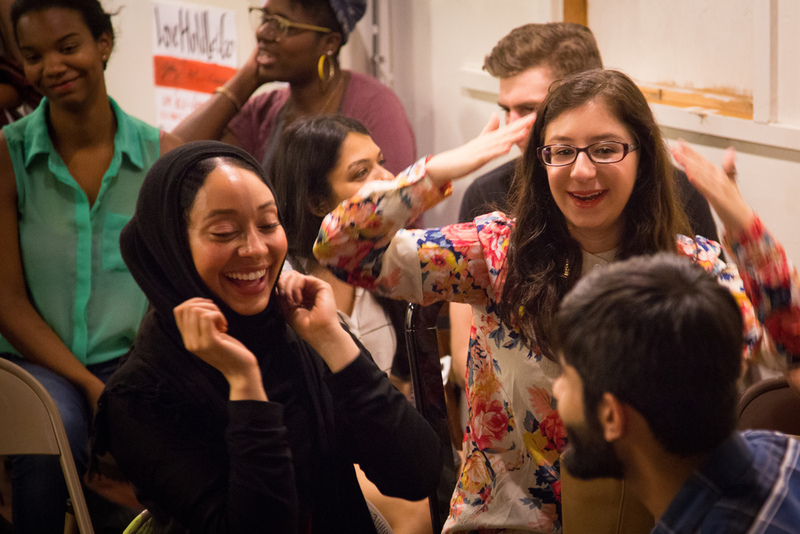 At East Meets Words, participants can sign up to sing, spit, dance, play music, or share a story. Everyone is welcome. 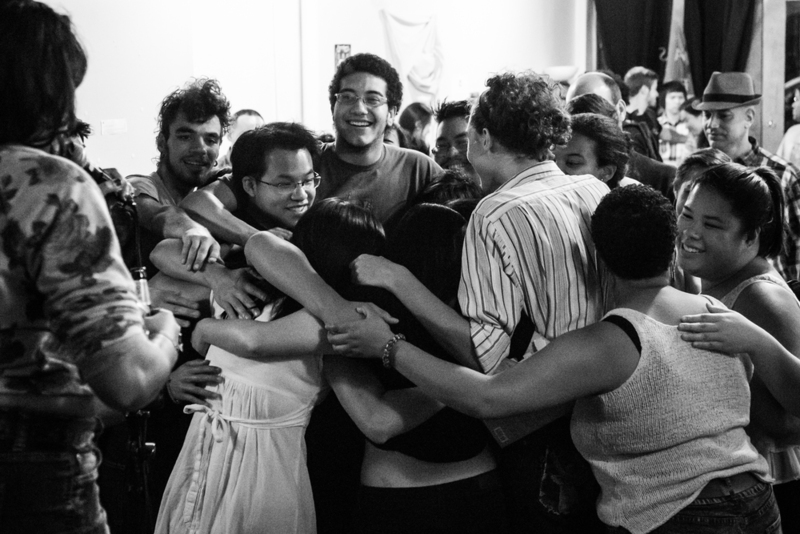 The space is especially appreciative of work that challenges stereotypes and amplifies marginalized voices. Time is set aside at each open mic for community announcements, meant to raise awareness about social justice issues in Greater Boston. Past features have ranged from nationally known artists such as Beau Sia and Kelly Tsai to local creatives like you and me. If you would like to perform, just show up! Do you know an amazing feature?